We have adopted quality management in our organisation & our mission is to deliver products & services to the utmost satisfaction & expectation of our customers. This is achieved by continuous improvement & enchancement of our activities & systems at all level. 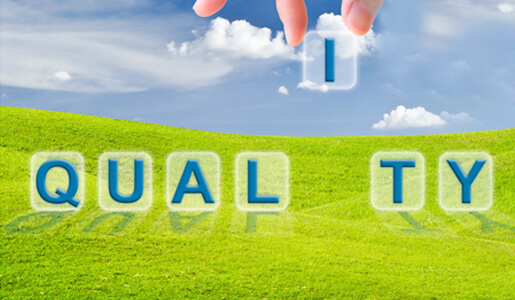 Where technology is of paramount importance, quality is logical sequel. The company has adopted strength quality measures in all its operation from design to manufacturing and testing to dispatch. We are committed to provide product and services on consistent quality that meets the requirement and exceed the expectation of the customer. Quality with Certificate : We provide to Customer each & every certificate of testing, which will be, require for a parts. Competitive Price : We manufacturing in bulk basis so we can offer to big margin to our customer. Fast Delivery : We have been keeping large no of parts in large quantity in stock. Guaranty : We offer a Guaranty for our all air compressor parts for manufacturing defect. A strong designing and engineering capability. A well equipped in house manufacturing capability. Computer software for design, engineering & project management. A team of qualified and talented personnel having vast experience in the field. 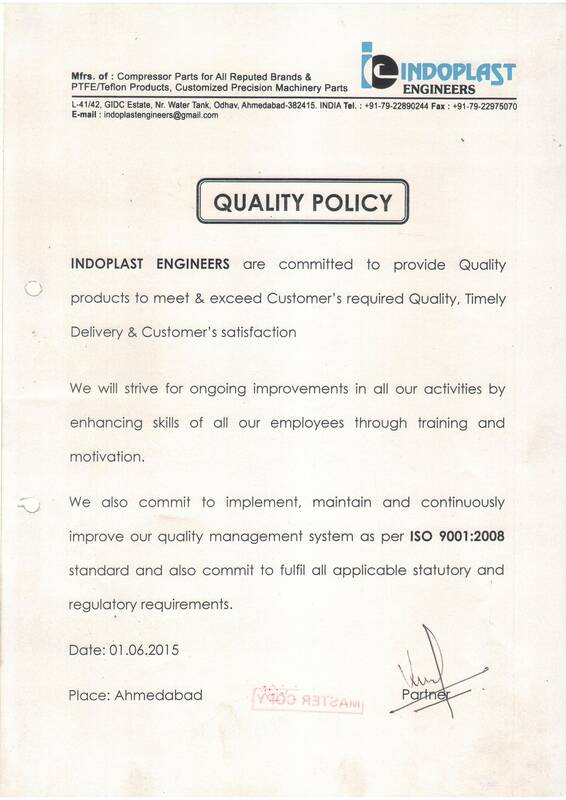 Indoplast group is well known for its delivery schedules and cost effectiveness in its products and services. We have a team of innovative & creative engineers involved in designing, manufacturing & developing critical parts & assemblies for various industries. The main objective of this group is to develop & improve on the existing products. 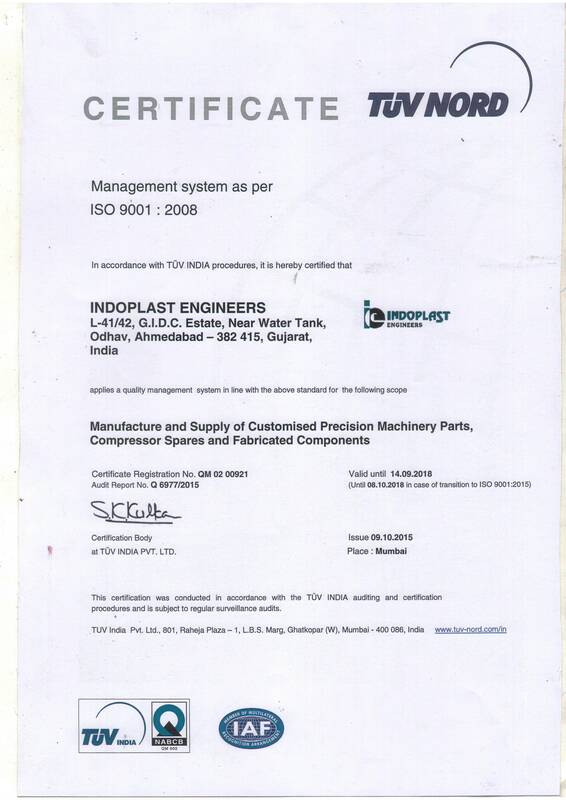 Indoplast Engineers is an Ahmedabad India based company established in the year 1989 to cater to the ever-changing needs of quality compressor parts. L- 41/42, G. I. D. C. Estate, Near Water Tank, Odhav, Ahmedabad - 382415 Gujarat, India.